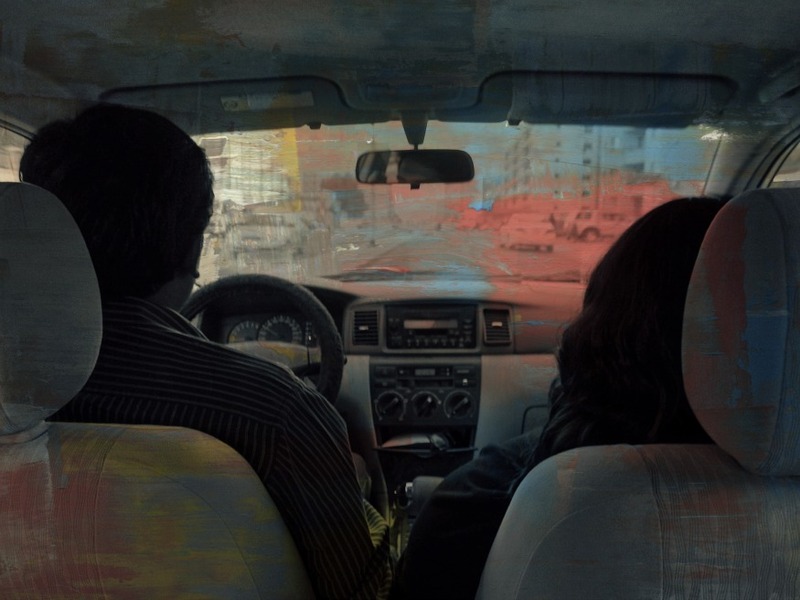 When seated in the backseat of rides, i close my eyes and imagine a world where cars pacing through the dull and pale looking streets of Kuwait would paint a trail of colours, just randomly leaving it around for other cars to pick up and continue. Perhaps a literal revised application of the phrase 'painting the town red'. Together, we'd make a freaking artful and awesome looking place. Like living in a modern artpiece. If it is neither in colour nor b/w, it just isn't worth it. View from the backseat of the Subi-Njeya wagon, with an added texture from picmonkey where i tried illustrating my thoughts.